If there is one wedding vendor that you want to be sure is up to the task of contributing to your big day, it’s your photographer! Not only will they capture your wedding day without interfering with the festivities, but they are preserving a part of your history. These memories will live on throughout your generations. So, it is important to remember that such a huge task requires only the best photographer! -You Get What You Pay For. Wedding photography is likely not going to be one of your most affordable wedding details. But, their products last forever. When looking for your photographer, you won’t want to book the cheapest one. When it comes to photography, you get what you pay for. Memories such as these deserve the financial splurge. -More Doesn’t Mean Better. Photographers may throw deals and extras into your wedding package, but does this really mean that they are good quality? Their photo quality should outweigh any extra add-ons that they may offer. Quality photos are a must! -The Experience to Back It Up. When applying for jobs, usually the candidates with more experience are chosen. This shows that they have gained their experience while performing the tasks and know what to expect. Your photographer is no different. Experience is a great indicator that they are ready to take on such a huge event and come out with stunning photos. Your wedding photos deserve to be jaw dropping, and these tips can help you book the photographer that will deliver! 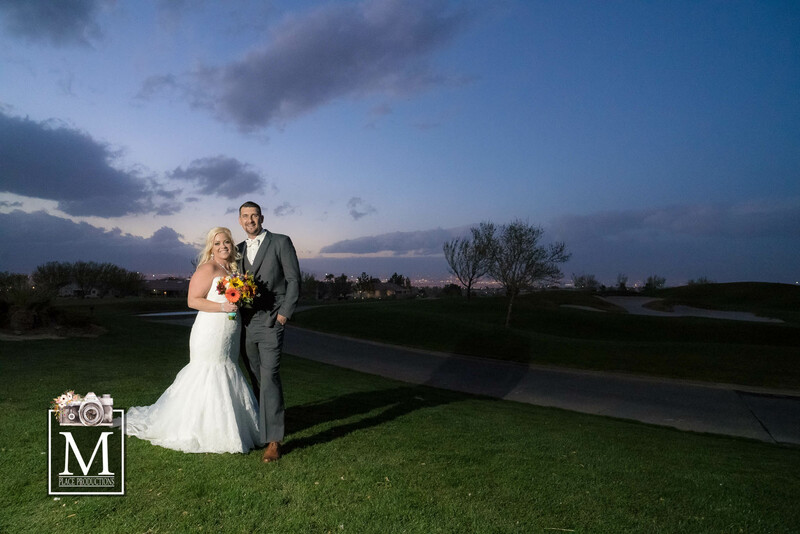 Here at M Place Productions, as a wedding photographer in Las Vegas, Nevada, we are happy to preserve your special day through flawless photography. Contact us today to tell us more about your wedding dream and too book your wedding photographer in Vegas.